Always shows up uninvited. Interrupts. Confuses. He’s unbelievably opinionated, and yet he is somehow always wrong. Meet the Four-Ear’d Mixing Monster. The problem, unfortunately, is that he’s YOU. See, contrary to popular scientific opinion, we all posses two sets of ears. With one set we listen to our iTunes library and the radio. The other set is reserved for listening to the music we’re mixing. Instead of using the same set of ears to listen to everything, we reserve one pair strictly for listening to our own mixes. The end result? While we’re mixing, we really feel like things sound amazing. Then we go put on our other ears and listen to our mix next to one of our favorite albums, and our world is rocked. The problem with having two sets of ears is that they are tuned very differently. One set is fairly objective. The other just tells you what you want to hear. But that never ends well. The way I see it, you have two options. 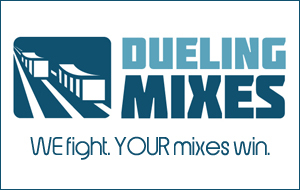 You can choose to fool yourself into thinking your mixes are great. Or you can choose to be honest about the flaws in your mixes, and do the hard work of improving them. I choose option #2. How about you?